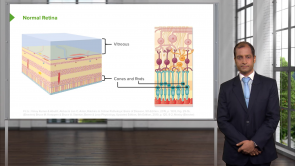 Learn more about retinal disorders in this online course with Dr. Carlo Raj. Patients who have been suffering for years from high blood sugar concentration can expect serious consequences for their entire bodies. 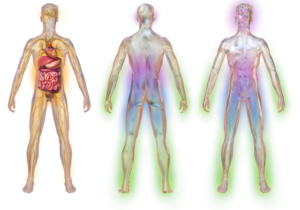 Accurate knowledge of the complications that may arise in the course of the disease is important not only for the exam. Physicians may significantly contribute to the problem, so that amputations, blindness, kidney damage and cardiovascular disease can be avoided. In this article, we will cover mainly the aging and age-related disorders of the retina, lens and vitreous body. Hypertensive retinopathy is a condition that is characterized by retinal vascular changes in people with elevated blood pressure. 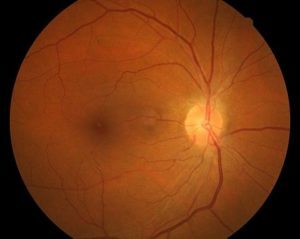 The screening for, detection, and documentation of hypertensive retinopathy in patients with established hypertension is currently considered as standard in the care of patients with high blood pressure. 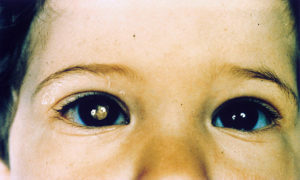 Retinoblastoma is a highly malignant tumor of the eye that manifests in the first 3 years of life. It is considered as the most common intraocular cancer of childhood. Up to 4% of all pediatric malignancies are reported to be retinoblastomas. In the following article, you will gain an overview of the symptoms and treatment of retinoblastoma to achieve a perfect score on your next medical exam. Retinopathy of prematurity (ROP) is a condition that is characterized by progressive nature and is only seen in premature infants of low birth weight. The condition is caused by the formation of fibrous tissue behind the lens, hence the old term “retrolental fibroplasia”. Infants affected by ROP develop severe visual impairment or can become blind. i rated this presentation because it is well prepared and well summarised medical students and residents should go through it.